In my previous post I talked about a vulnerability in Steam which allows you to bypass UAC. I’m going to be totally transparent here: I fucked up. I wrote the draft post a few days back, then did some more work on the vulnerability. I discovered something much more serious in the process. I posted last night’s blog post at 1am, tired as hell, and in my sleep-deprived state I completely neglected to update it properly, and there are several mistakes and bits of missing information. The draft went out and confused a lot of people. So, for that, I apologise. I’m going to leave it there so people can see it, because it’ll remind me not to do that next time. Now, onto the real impact of the vulnerability: I can leverage it to gain code execution as SYSTEM. How? Well, it turns out that Steam.exe gives itself one unusual privilege – the privilege to debug other processes. This is called SeDebugPrivilege and one of its features is that it allows the process to bypass access control lists (ACLs) on processes when you call OpenProcess, i.e. the process can open a handle to any process it likes, with any privilege it likes. Open a handle to a process that is running as SYSTEM, with PROCESS_ALL_ACCESS as the access flag. 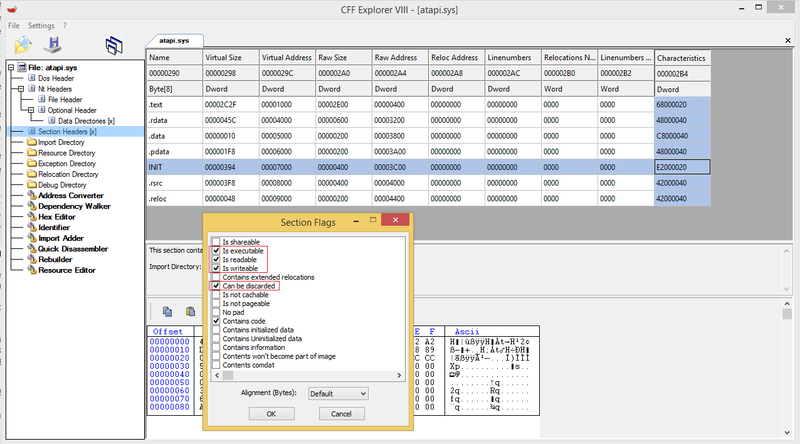 Use VirtualAllocEx to allocate a block of memory in the remote process, with the executable flag set. Use WriteProcessMemory to copy a block of shellcode into that memory buffer. Use CreateRemoteThread to create a new thread in the remote process, whose start address is the base address of the memory allocation. Bingo! You just got a privesc to SYSTEM. In this case, once you’ve got code execution inside Steam, you can utilise this trick to escalate yourself to SYSTEM. There’s your privesc vuln. Like many other gamers, I love Steam. Not only is it ridiculously convenient, but it’s also become a pretty awesome platform for indie game developers to get their games out there. It provides a online store platform for 54 million users, and most of the time it does an excellent job. That’s partly the reason why I’m so frustrated with Valve right now. I spent a good few hours playing with a bug I found in Steam, and then made an effort to provide Valve with a clear, concise, detailed security vulnerability notification. Their response has been one of pure opacity, with not a single ounce of professional courtesy. I have discovered a vulnerability within the Steam client application that allows for arbitrary memory copies to be initiated within the Steam process. These issues can be triggered at multiple crash sites, and range in severity from unexploitable crash (denial of service) to full compromise of the process. The shared memory section GameOverlayRender_PIDStream_mem-IPCWrapper does not have an ACL applied to it, so any user may open a handle to it with all privileges. This is especially important in multi-user systems such as terminal services, or in situations where other potentially risky processes are sandboxed into other user accounts within the same session. By opening a handle to the section and writing random garbage data, then signalling the Steam3Master_SharedMemLock wait handle (which also does not have an ACL) it is possible to cause the Steam client to crash. I have discovered multiple locations where the crash may occur, and many are within REP MOVS copy instructions. In some cases it is possible to control the destination address (EDI), the source address (ESI), and/or the memory at the target site of ESI. In some cases other general purpose registers were modified. By carefully crafting a payload, it would certainly be possible to cause code execution via heap corruption, e.g. by overwriting a callback pointer. Despite the use of ASLR and DEP on the process, certain modules (e.g. Steam.dll, steamclient.dll, CSERHelper.dll) are not marked as ASLR supporting. It is possible to use a technique called Return Orientated Programming (ROP) to bypass ASLR and DEP in cases such as this, where there are non-ASLR modules loaded into the process. I have created a proof of concept application, which can be provided upon request, though it should be trivial for a developer to discover the source of the vulnerabilities. The fix I would propose is that an appropriate explicit ACL is set on the afforementioned objects, enforcing that only the user that created the Steam process can access the object. Additionally, I would recommend that proper bounds and sanity checking is enforced on the shared memory object. Furthermore, it would be prudent to ensure that memory copy operations (e.g. memcpy) are performed using SDL approved functions, such as memcpy_s. This ticket serves as initial notification of a security issue. Please respond within 30 days, detailing your acceptance or rejection of the report, the proposed mitigation (if any), and patch timescale. If no satisfactory response is received within 30 days, it will be assumed that you do not consider the issues in this report to constitute a security issue, and they will be publicly disclosed. My normal public disclosure timescale is 90 days after initial notification, but this can be extended upon reasonable request. Most importantly, please remember that this is an invitation to work with me to help improve your product and increase the security posture of your customers. Should you require further information about the issue, or any other aspects of this notification, please contact me. On further consideration, the impact of this issue is not exactly as described above. Due to the location of the shared memory section object within the object manager hierarchy, it is not accessible across sessions unless the reading process is running in an administrative context. This negates any cross-session privilege escalation, so one user session cannot directly attack another in this manner. However, an additional impact has been discovered. If the attacking process runs in the same session as the user (e.g. malware) and waits for Steam to escalate its privileges to an administrative context via User Account Control (UAC), it may then exploit the vulnerability and gain UAC escalation. This completely bypasses the UAC process and could allow local malware to jump from a limited or guest user context to a full administrative context. Not only is this directly problematic for home users, but it becomes significantly important for domain environments where workstation security is enforced by group policy, which is bypassable via the administrative security context. I feel that this new impact scenario is more significant, since it targets the most common configuration of Steam, i.e. a single-session machine. As noted before, please feel free to contact me if you have any questions. For absolute clarity, the cut-off point for non-responsiveness is the 17th of October 2013, i.e. 30 days after initial notification. Please respond before then as per the responsible disclosure policy detailed above. I recognise that this isn’t exactly an earth-shattering vulnerability, as UAC isn’t “officially” a privilege segregation. That said, it’s significant enough to warrant fixing, especially as it results in memory corruption. Furthermore, I’m sure someone could find a way to utilise the issue in a much more interesting way than I did. A Valve employee under the name of “Support Tech Alex” responded the next day, apologising for the delay and informing me that the details would be forwarded to the appropriate department. Excellent, I thought. I thanked him, and waited. A week passed, then two. Still no response. Unfortunately, you will not receive a notification about any action taken as a result of this report. If you have any further difficulty, please let us know. This annoys me, and I think it demonstrates a fundamental lack of understanding of whitehats on Valve’s part. In my opinion and experience, what drives a whitehat isn’t a lust for rewards, or free swag, or even being thanked by the company (though that is nice). What drives a whitehat is the quest for technical knowledge, and the satisfaction of having helped fixed a security issue. When a vendor cuts a whitehat out of the loop, and leaves them hanging without even saying whether they’re going to look into it, it kills all motivation. Not only is it unprofessional, but it’s also downright rude to reward a person’s hard work with little more than contempt. I didn’t go into this expecting Valve to pay me or even send me a T-shirt for finding the bug. I did, however, at least expect to get something along the lines of “thanks, we’ll fix that, should get pushed out in the couple of months”. Instead what I got was opacity and avoidance, and that’s not the way to deal with security notifications. Hopefully a public shaming will do you some good, Valve. Treat whitehats well, and you’ll do well. Treat whitehats badly, and you might find that they take their reports elsewhere. Update: In my sleep-deprived state last night, I forgot to update this draft before publishing it. There’s actually a much bigger vulnerability here: Steam gives itself SeDebugPrivilege, which allows it to bypass ACLs on OpenProcess calls, meaning it can inject code into any other process on the system, including those running as SYSTEM. It’s a full privesc. I’ve written a follow-up post that explains this in more detail. Dropbox has become a daily part of my life. I rely on it to synchronise data between my growing set of devices. But how much of an impact does it have on the security of my system? I decided to find out by digging around in exactly what it does to my machine, or more specifically, the processes running on it. Interesting! Looks like we’ve got two extension DLLs, one 32-bit and one 64-bit. 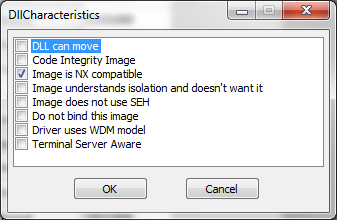 These are likely used to add extra context menu options when right-clicking on files. Now let’s find out where they get injected. For this, we’ll use good ol’ trusty Process Explorer. By going to Find » Find Handle or DLL, we can search for the DLLs in running processes. 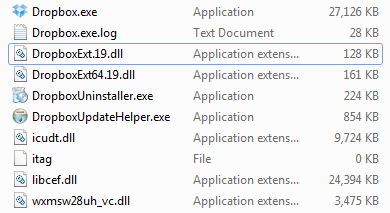 It looks like it’s being loaded into processes that have windows created, which implies it’s probably an AppInit DLL, but it turns out not to be the case – the registry key doesn’t contain that DLL. This implies that there’s something more active going on, and that Dropbox actively selects which processes to inject into. I may be mistaken here, I’m not sure. Either way, though, it’s a little odd that it chose to inject into Notepad++ and other innocuous processes. Notice that the Dropbox extension DLL doesn’t have the ASLR flag set. This means that any vulnerability in Firefox becomes a lot easier to exploit, since the Dropbox module provides an unrandomised anchor for a ROP chain. Ignore PowerHookMenu.dll here – I’m aware of that issue and have notified the developer, but it’s infrequently seen on people’s machines so it’s not so bad. Anyway, the take-away issue here is that Dropbox arbitrarily injects an ASLR-disabled DLL into various 32-bit and 64-bit processes, causing significant degradation in the efficacy of ASLR across the entire system. With no ASLR, an attacker could craft an exploit payload that utilises executable code within the injected DLL to product a ROP chain, leading to code execution. This is significantly problematic in high-risk programs like web browsers and torrent clients. I notified Dropbox of this back when version 1.0.0.17 was the latest version, but got not response. I’ve since tried again, but had no luck. I’m hoping that going public will give them the kick they need to get it fixed. In the meantime, a good mitigation is to install EMET and set a policy to enforce Mandatory ASLR. All of this was re-tested against Dropbox 2.0.22, with versions 1.0.0.19 of both the 32-bit and 64-bit DLLs. The operating system used was Windows 7 x64 SP1. Update: Brad “spender” Spengler (of grsec fame) has noted that the latest version of Dropbox has ASLR enabled for the 64-bit DLL, but still doesn’t on 32-bit. Update 3: @_sinn3r has done some awesome work on the exploitability of these issues, over at Metasploit. Definitely worth a read. Posted on September 9, 2013 October 3, 2013 Categories VulnerabilitiesTags aslr, dropbox, security, vulnerabilities24 Comments on Installing Dropbox? Prepare to lose ASLR.